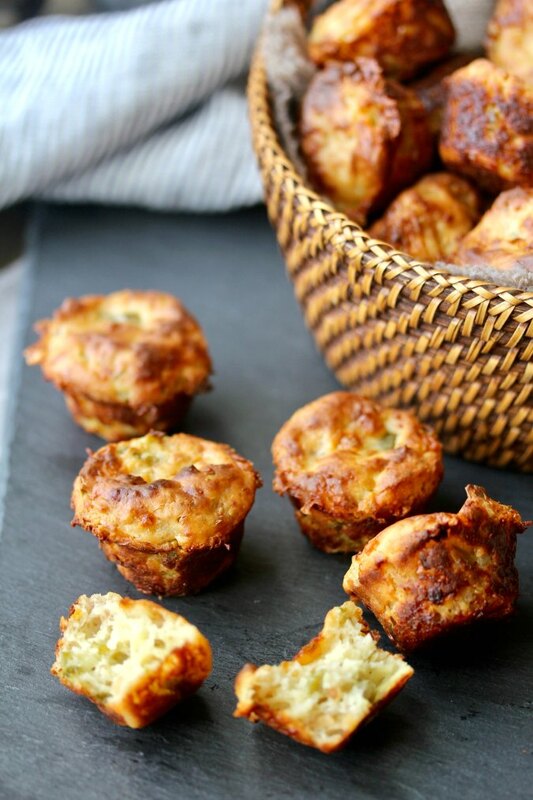 These bacon scallion corn muffins include whole grain cornmeal, bacon and scallions, and Vermont cheddar cheese. 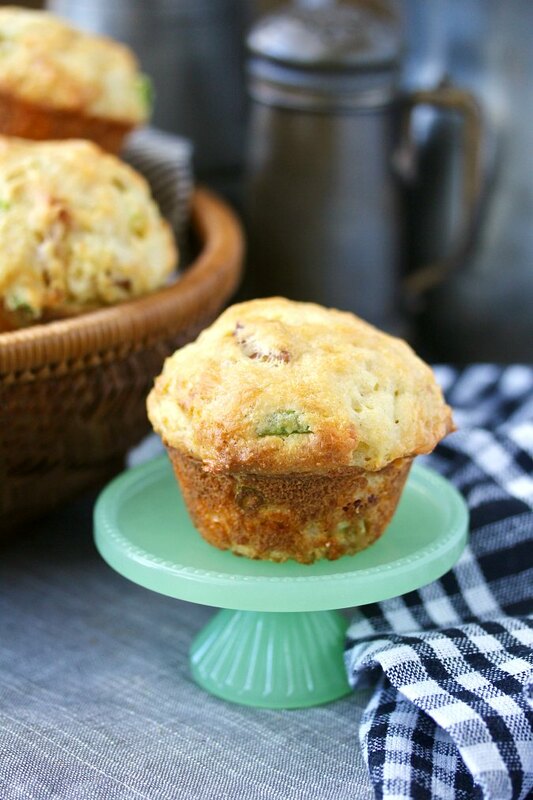 These bacon scallion corn muffins are wonderful as a portable breakfast. They also are fabulous for lunch with a green salad. 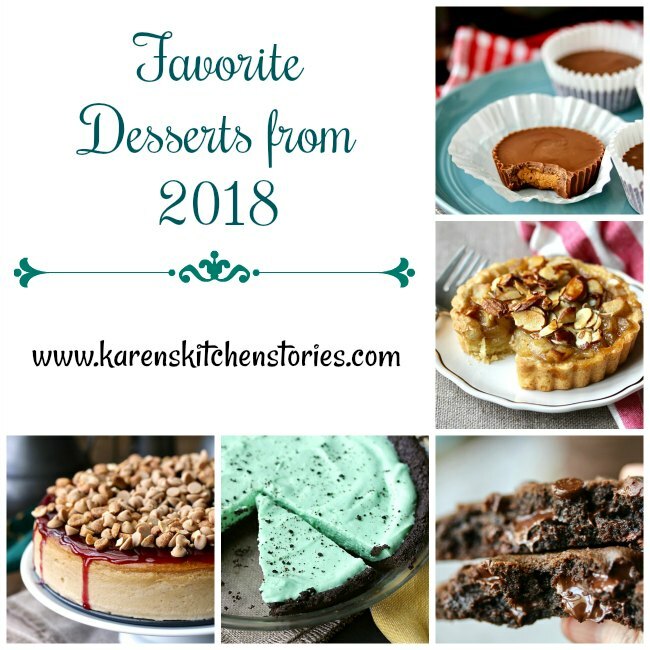 These are my top five favorite desserts for 2018. All of these desserts were so good! 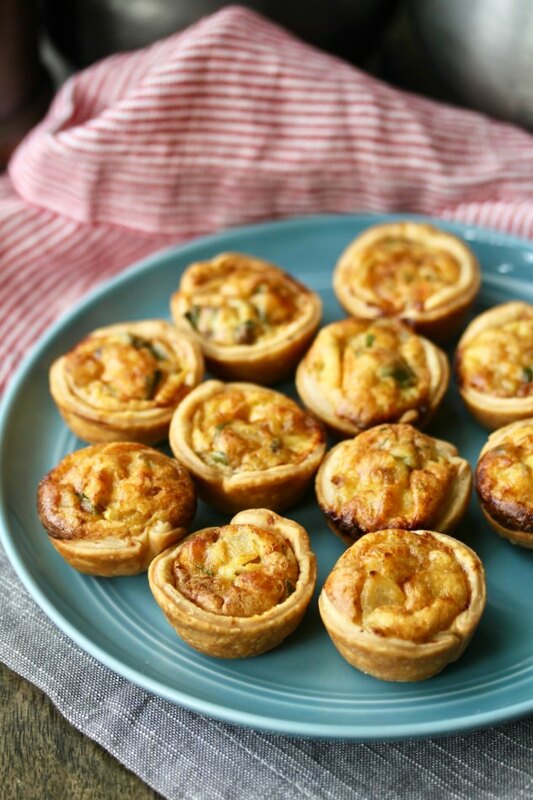 These mini quiche Lorraine, made with bacon, onions, and Gruyère cheese in a tiny pie crust, are an easy and tasty appetizer or brunch dish. I served these little quiches as an appetizer on Christmas Eve. It was my turn to host the annual family fête, and with 26 of my most favorite people coming for dinner, I needed appetizers that would pair well with bubbly. 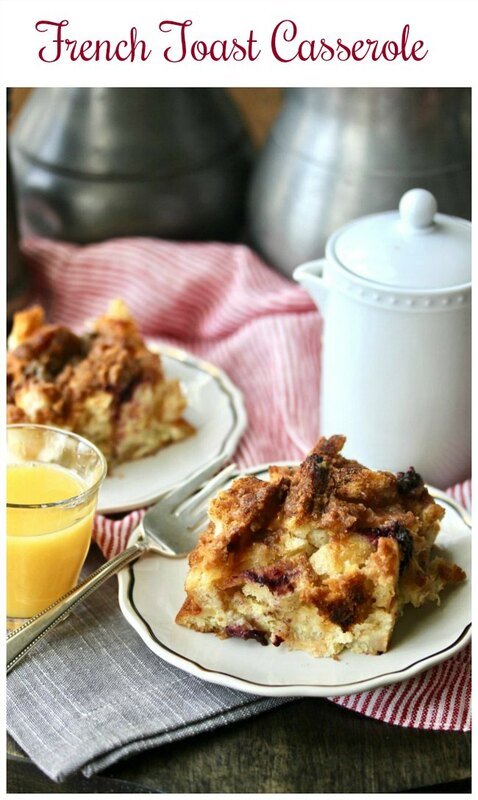 This make-ahead baked French toast casserole is so easy to assemble the night before and then bake in the morning for breakfast or brunch. When my grandsons spend the night at our house, their favorite breakfast the next morning is French toast. When we have time, I will stand there like a short order cook and make French toast until they've had their fill. It's my favorite way to spend the morning with these boys. 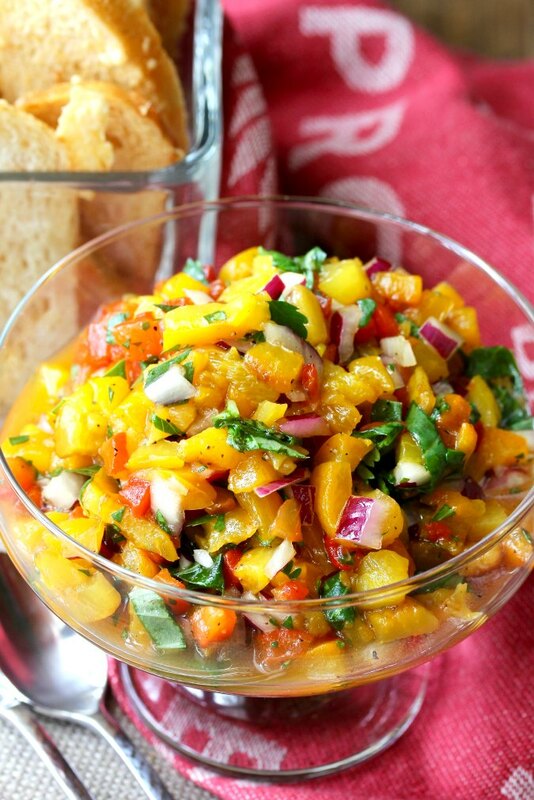 Roasted tricolored pepper salsa: Bell peppers in three colors that are roasted in the oven, peeled and chopped, and tossed with red onion, basil, cilantro, white wine vinegar, olive oil and a bit of sugar and pepper. This roasted tricolored pepper salsa, served with toasty crostini, is a wonderful and light cocktail party appetizer. This Herb and Wine Poached Shrimp with Homemade Cocktail Sauce is perfect for entertaining and super easy to make. 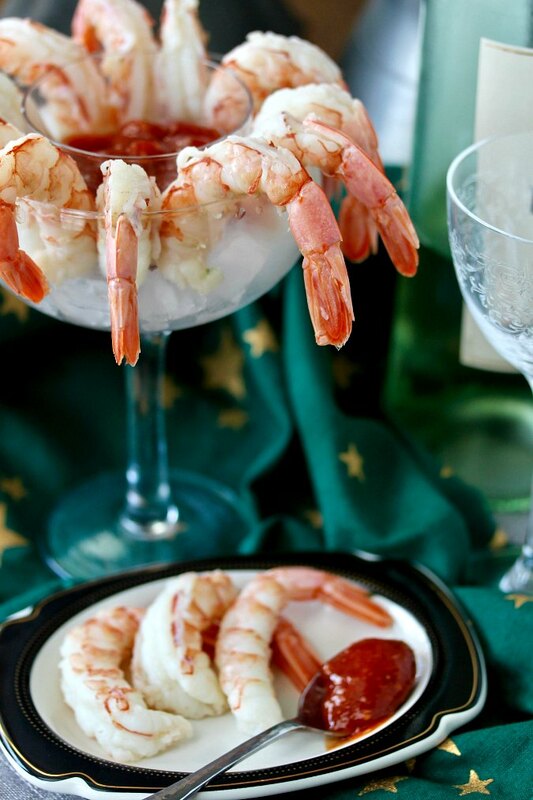 This shrimp cocktail is a little more work than setting out precooked shrimp with bottled cocktail sauce, but it's almost as easy. These homemade Peanut Butter Cups, filled with a dough-like peanut butter filling, will pretty much blow your mind. 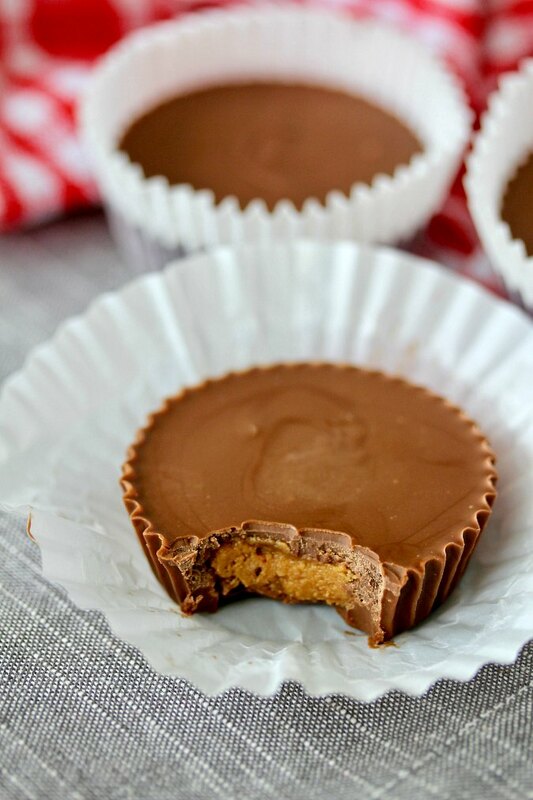 The filling for these copycat Reese's peanut butter cups has a secret ingredient which takes the texture and flavor to a whole new level. These Mexican hot chocolate cookies are deeply chocolaty, and spiced with cinnamon, cayenne pepper, and black pepper. 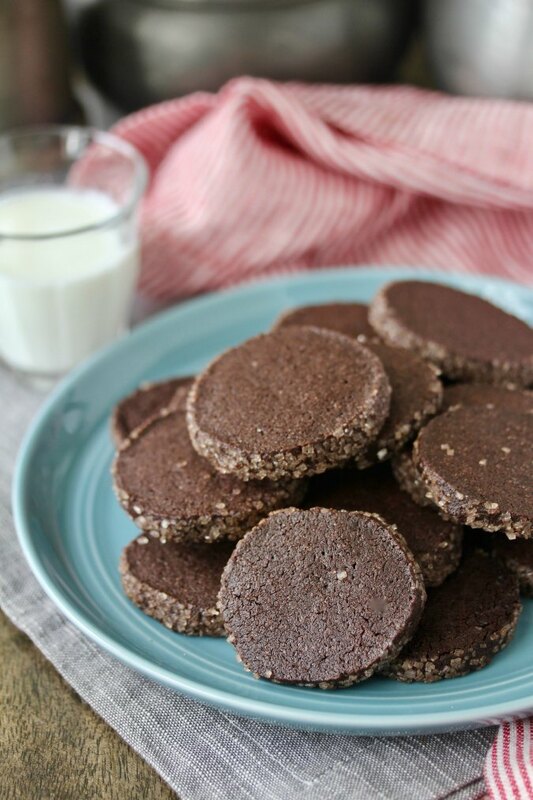 The edges of these Mexican chocolate cookies are coated in a mixture of cinnamon and sanding sugar to add some crunch and sparkle. 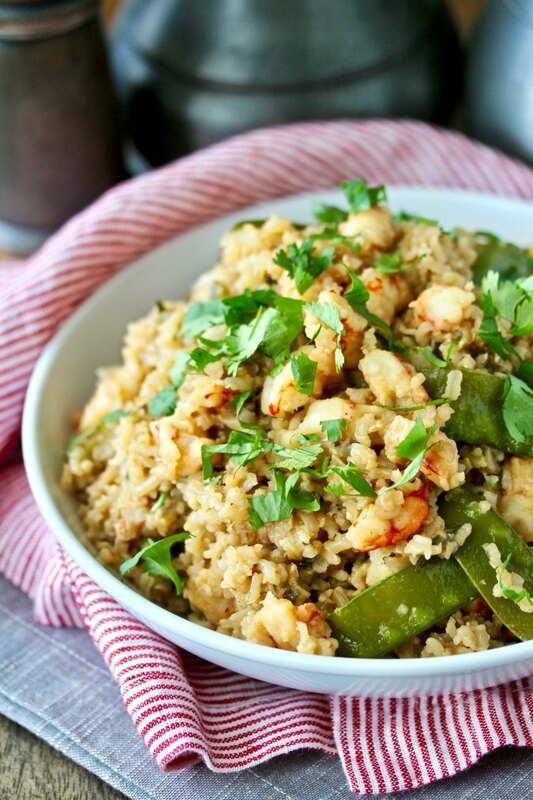 Brown Rice Pilaf with Shrimp, Scallions, and Snow Peas - Brown rice simmered in stock and tossed with shrimp, snow peas, scallions, and garnished with cilantro. Brown rice is whole grain rice that still has its bran. It is chewier than white rice, and has a nuttier flavor. Any color whole grain rice is considered "brown rice," and can be used in this recipe. 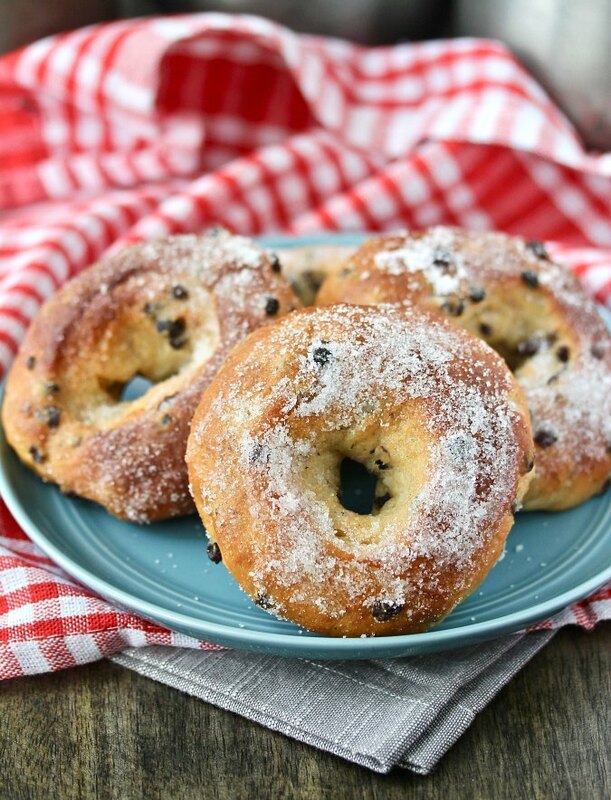 Baked currant doughnuts - these light yeasted doughnuts and doughnut holes are baked, brushed with melted butter, and dredged in sugar. These doughnuts are delicious warm from your oven. They are more "bread-like" than deep fried doughnuts, and they are lighter and airier than the baked doughnuts that have baking powder for leavening that you bake in a special pan. 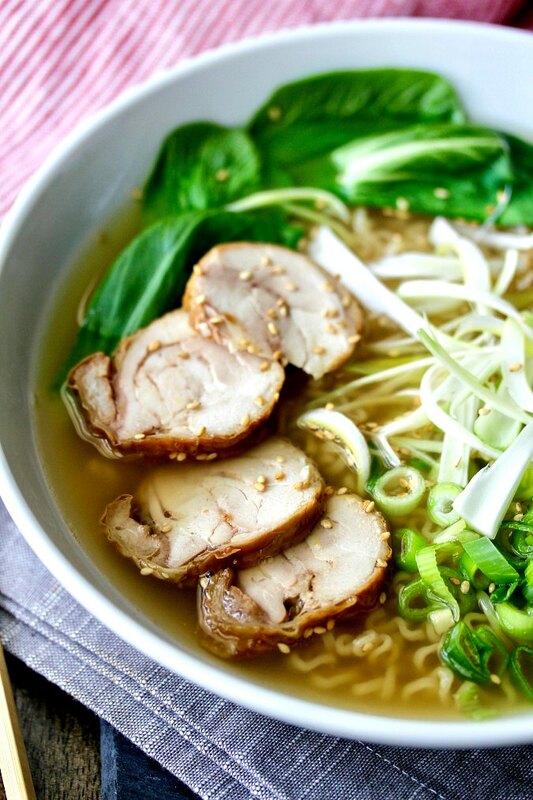 This shio ramen with turkey broth and chicken chashu began with leftover Thanksgiving turkey. I innocently decided that I would try to make homemade ramen in order to create a soup with my leftover turkey carcass from Thanksgiving. Chocolate espresso mousse with bittersweet chocolate, espresso, cream, and topped with a dark chocolate-covered coffee bean. This post is sponsored in conjunction with ChristmasSweetsWeek. I received product samples from sponsor companies to aid in the creation of the #ChristmasSweetsWeek recipes. All opinions are mine alone. 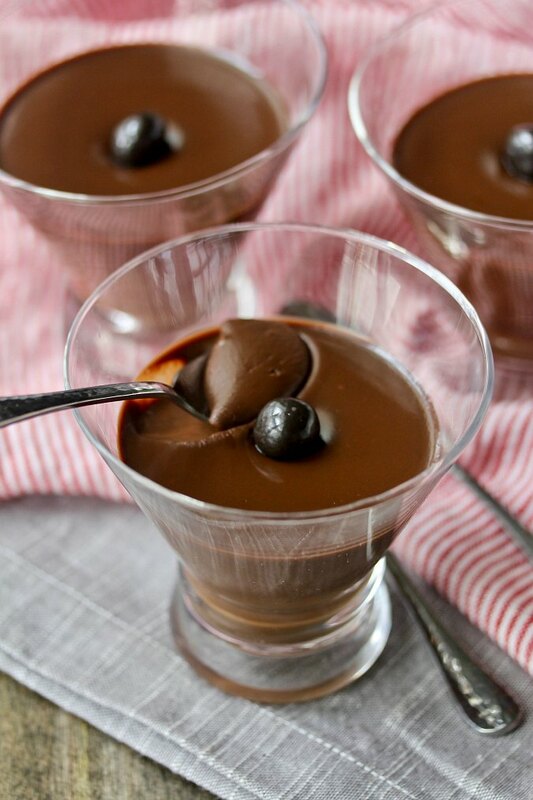 These chocolate espresso mousse (or is it mousses?) take very little effort to make, yet they are an elegant, dinner party worthy dessert. 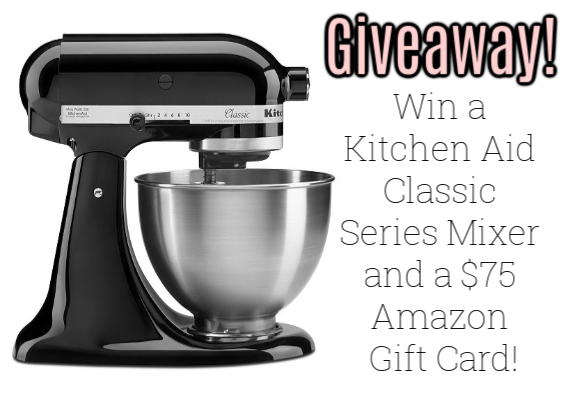 Win a KitchenAid Artisan Stand Mixer! Wouldn't you love to win a KitchenAid Stand mixer? Happy holidays!!! I’ve joined forces with 18 food blogger friends to put together this giveaway. 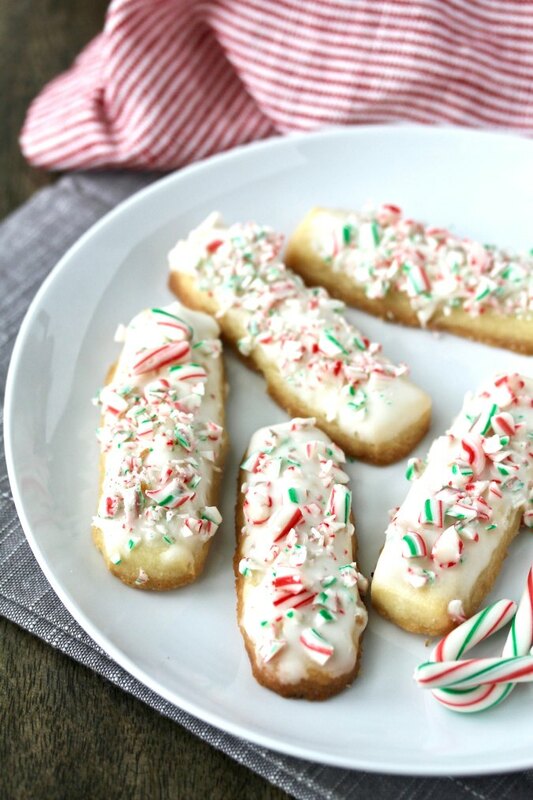 These peppermint stick cookies are fun to make, fun to eat, and so Christmasy. 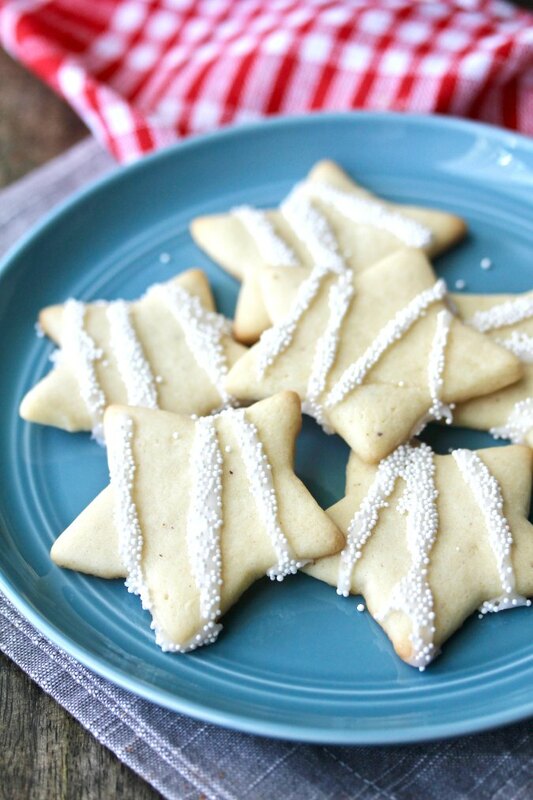 These peppermint stick cookies begin with a vanilla butter cookie which is dipped in a vanilla glaze and then sprinkled with crushed peppermint candies. 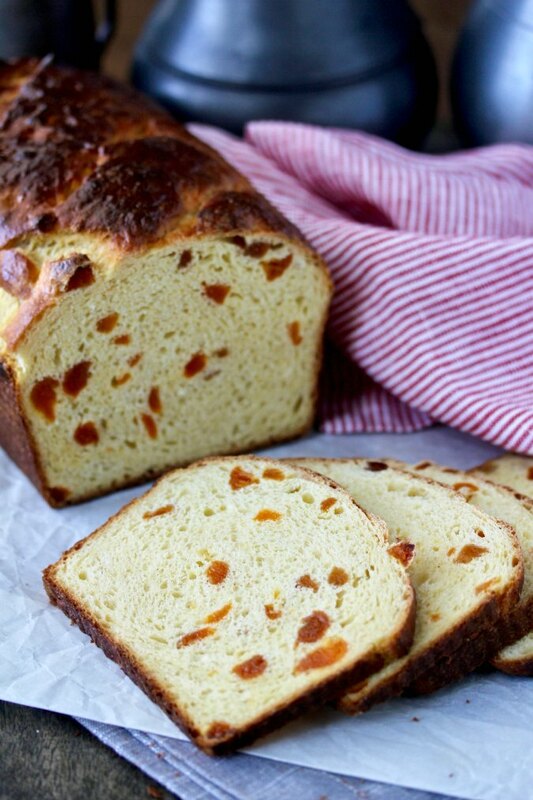 This Apricot Sour Cream Bread is wonderful with coffee for breakfast or with afternoon tea. This bread is studded with dried apricots and sweetened with freshly squeezed orange juice and turbinado cane sugar. This roasted peppers with sausage and rice dish is easy to make with just five ingredients, and it takes just a few minutes to cook. 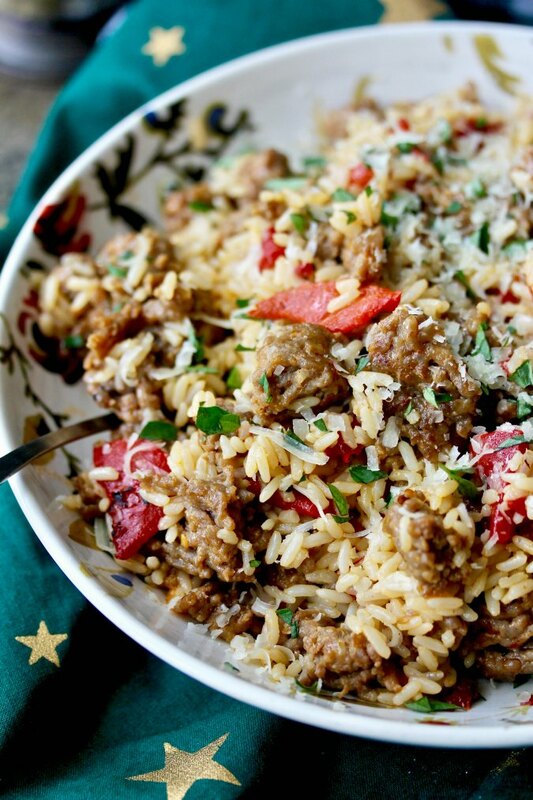 All you need is roasted red bell peppers, Italian sausage, cooked rice, plus a little fresh oregano and Parmesan cheese for garnish. These eggnog cookies capture the rum and the spices of eggnog in a cookie. These cookies are loaded with flavors of an eggnog cocktail. These Gingerbread Sandwich Cookies are spiced with ginger, cinnamon, nutmeg, and cloves, and filled with apricot jam. The tops of these gingerbread sandwich cookies have a little cutout in the top that you can bake to make little pop-able cookies. 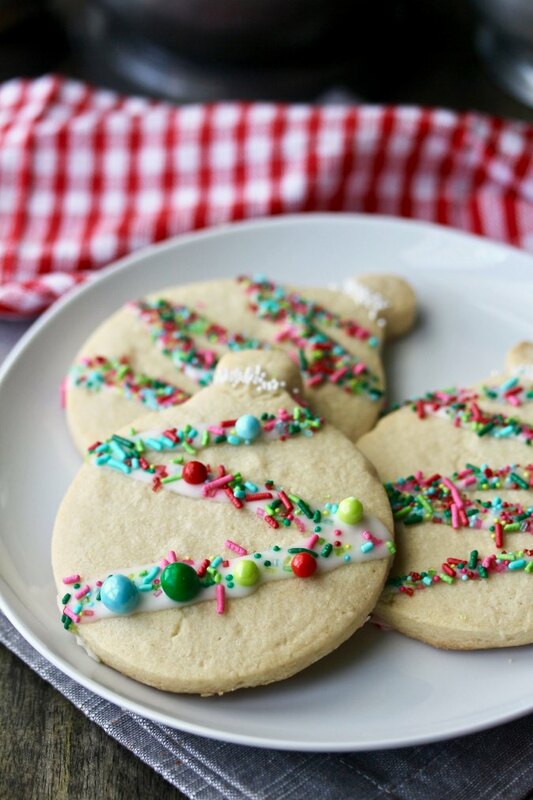 These Christmas ornament cookies are a fun treat to make with kids. This post is sponsored in conjunction with Christmas Cookies Week. I received product samples from sponsor companies to aid in the creation of the Christmas Cookies Week recipes. These Christmas ornament cookies are big, sparkly, and delicious. 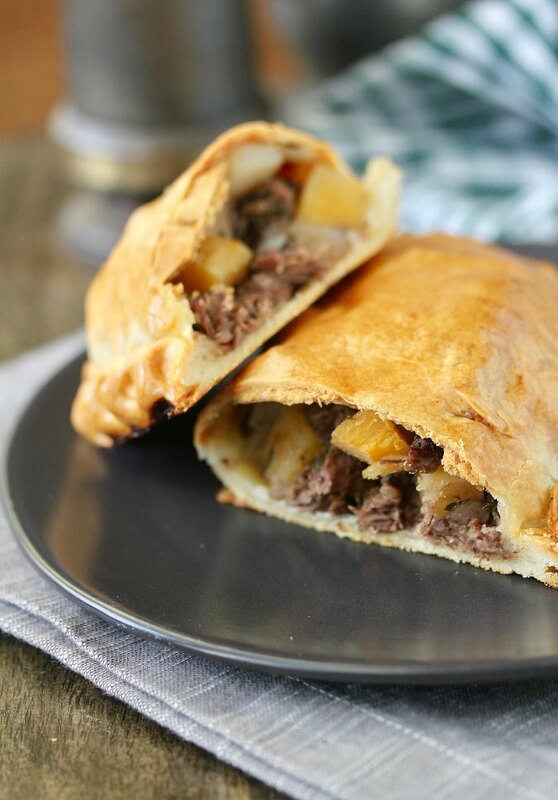 Cornish-Style Steak Pasties - A delicious and portable meat and vegetable hand pie. Cornish pasties typically are made with beef (usually skirt steak), potatoes, onions, and rutabagas (called swede in Cornwall), which are wrapped in a crust and baked to make a delicious portable meat pie. Homemade Chinese Five Spice Powder - one of my favorite spice blends. 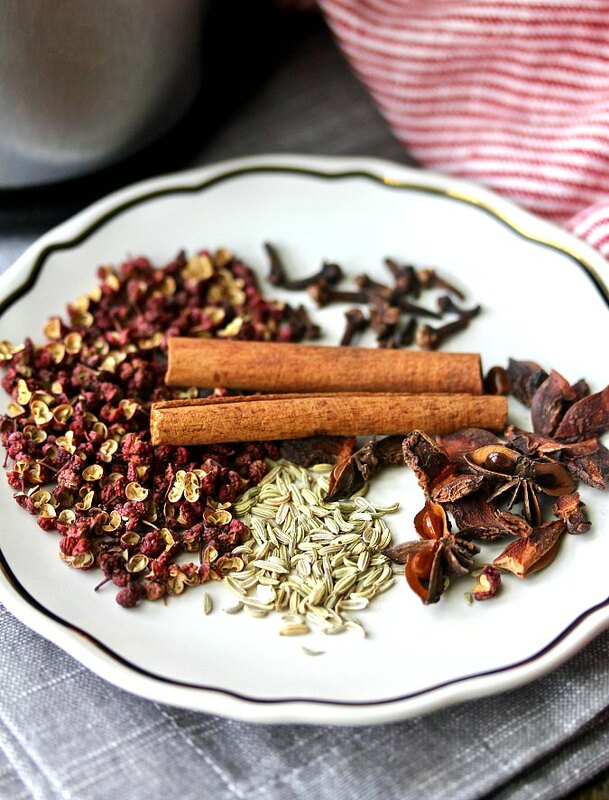 Sichuan peppercorns, star anise, cloves, fennel, and cinnamon combine to create a wonderful and uniquely flavored seasoning. Why should you make your own Chinese Five Spice? First, one of the cool things about making your own spice blends is that you can control the ingredients in the blend, and customize the spices to your taste. 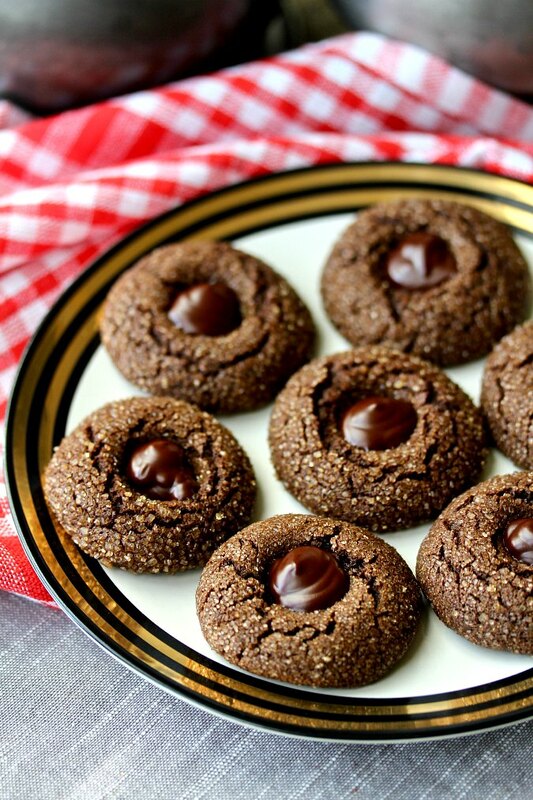 Spiced Chocolate Molasses Cookies - a chocolate cookie spiced with cinnamon, ginger, and allspice, and filled with a dark chocolate and molasses ganache. This post is sponsored in conjunction with Christmas Cookies Week. I received product samples from sponsor companies to aid in the creation of the Christmas Cookies Week recipes. All opinions are mine alone. These spiced chocolate molasses cookies will please both the chocolate lover and the spicy Christmas cookie lover in your life. These cookies are fabulous for a Christmas cookie platter or cookie exchange. 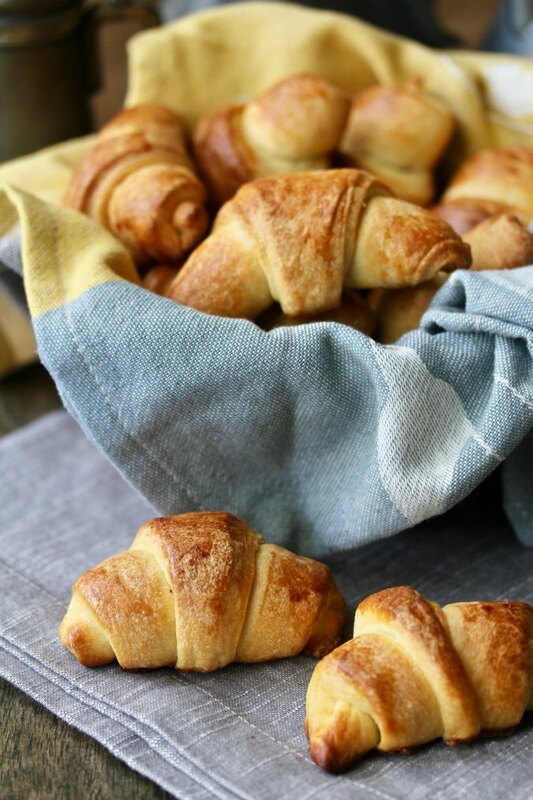 Homemade crescent rolls - buttery and soft on the inside and slightly crispy and flaky on the outside. Crescent rolls always remind me of Thanksgiving or Christmas dinner. While dinner rolls or bread were rarely a part of "regular" dinnertime when I was growing up, warm rolls slathered in butter were always a part of holiday dinners. Butter! 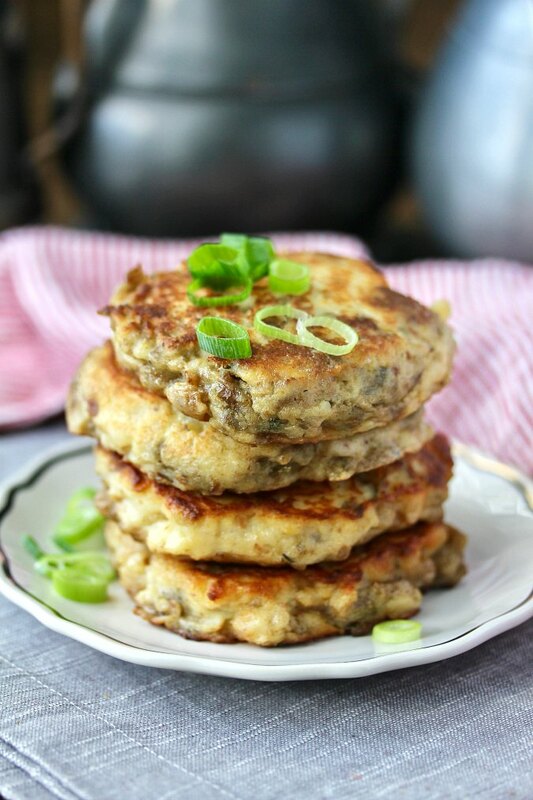 Thanksgiving leftover mashed potatoes and stuffing pancakes - little pan-fried cakes of mashed potatoes infused with your favorite stuffing. I love making Thanksgiving dinner for my family. First, it's just us, our kids, and my grandkids, so the audience is always accepting, and my single oven can handle the meal. Jalapeño Cheddar Mini Muffins - fabulous as an easy appetizer, and delicious with a salad or a bowl of soup or chili for lunch or dinner. These jalapeño cheddar mini muffins almost have the texture of gougères, those delicious little French poppable cheese puffs served at cocktail parties. 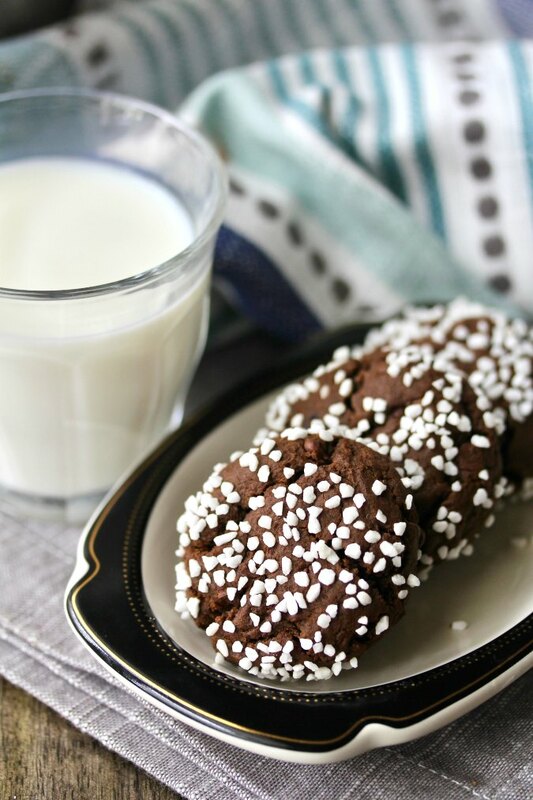 Triple chocolate chocolate chip gingerbread cookies - three kinds of cocoa and mini chocolate chips mixed into a gingerbread cookie and dipped in Swedish pearl sugar. These cookies have all of the spiciness and chew of gingerbread cookies. Add three kinds of cocoa and some mini chocolate chips and you will have a pretty darn amazing cookie. 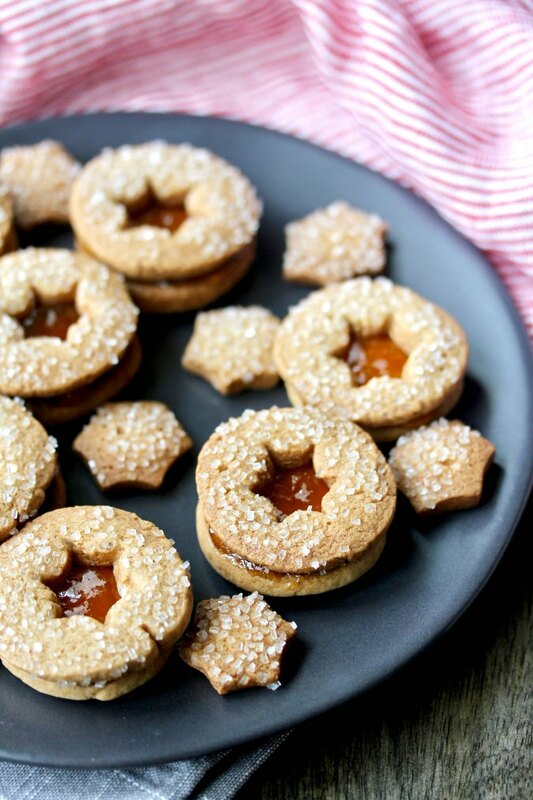 Throw in the Swedish pearl sugar, and this cookie might be just perfect for Santa's cookie plate. This Afghan Style Pumpkin with Yogurt Sauce is rich and earthy. 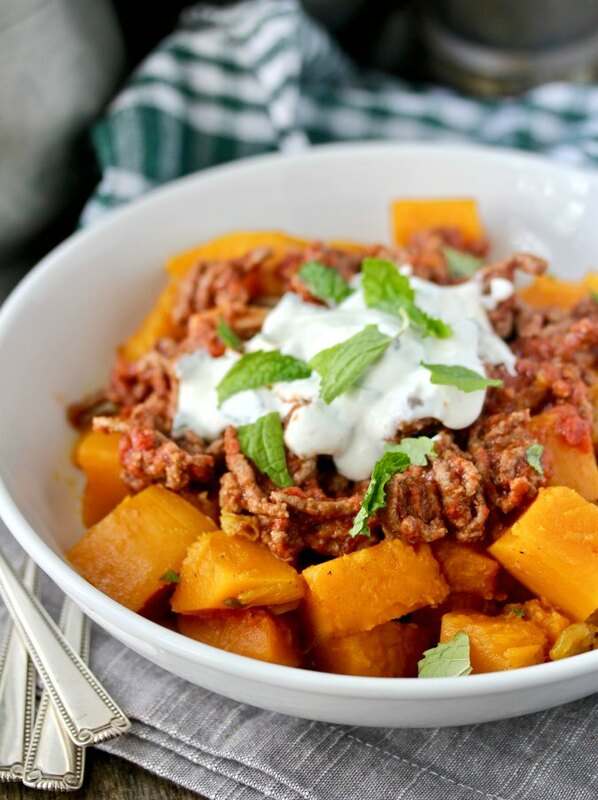 It features sautéed pumpkin and onions flavored with turmeric, ginger, and chiles, which is topped with a ground beef and tomato sauce, and then a garlic and mint yogurt sauce. While we tend to think of desserts when we imagine cooking with pumpkin (usually from a can), pumpkin is served in sweet and savory dishes throughout the world. These easy slice and bake lemon shortbread cookies possess the crumbly melt-in-your-mouth texture of traditional Scottish shortbread. The dough for these lemon shortbread cookies takes just 10 minutes to measure and mix. Once you've mixed the dough, you wrap it and refrigerate or freeze it, where the dough sits ready to slice and bake when you have a cookie emergency. 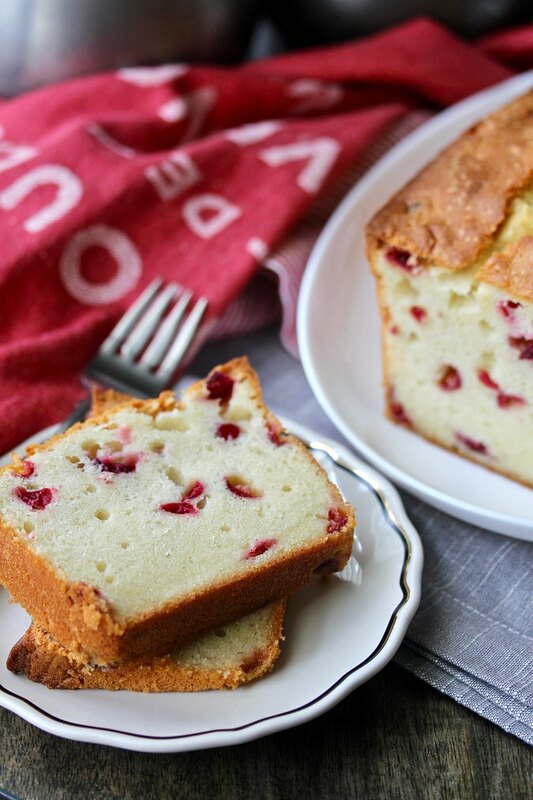 This Cranberry Sour Cream Pound Cake is about the richest cake I have ever made. 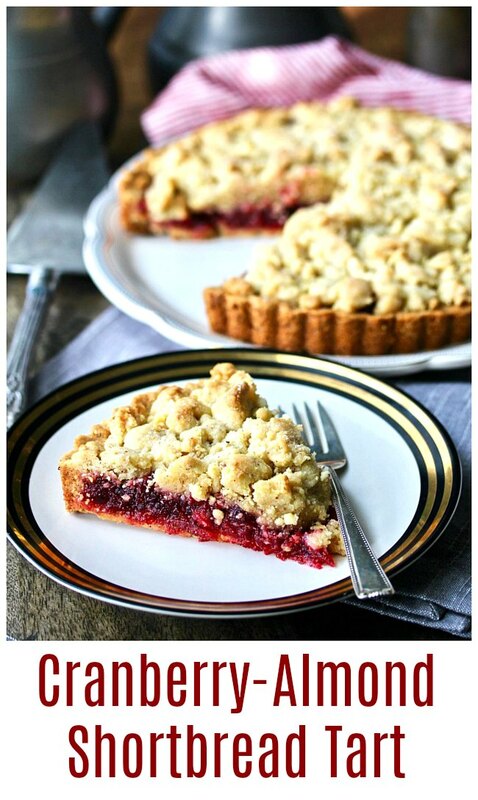 And it's deliciously moist and loaded with fresh, tart cranberries. This pound cake calls for 5 eggs, 1/3 cup sour cream, and 14 tablespoons (almost a cup) of butter. All of this richness with only 1 3/4 cups of flour. These Baked Scallops in Olive, Sun Dried Tomato, and Basil Butter are about the easiest and foolproof way to prepare scallops. 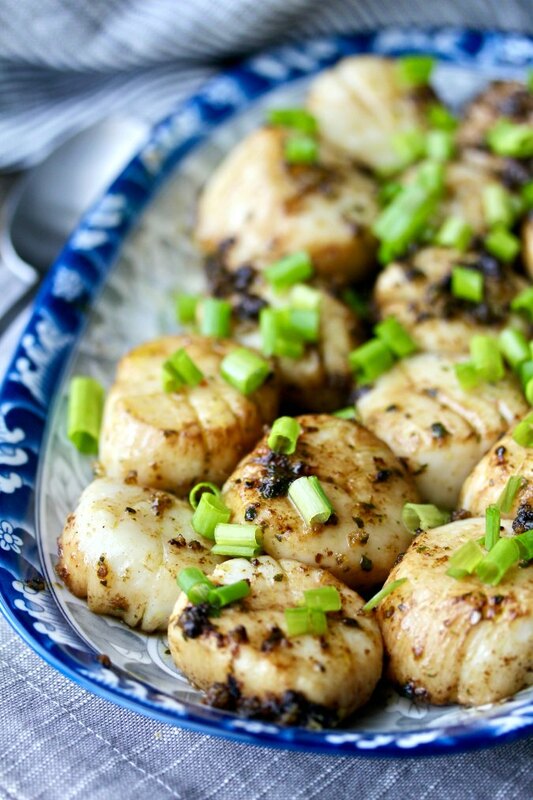 Baking scallops in butter just brings out the sweetness of sea scallops. In partnership with Pleasant Hill Grain, I'm introducing the new Komo Mio Grain Mill! Disclosure, I received a Komo Mio Mill from Pleasant Hill Grain in exchange for an honest review. 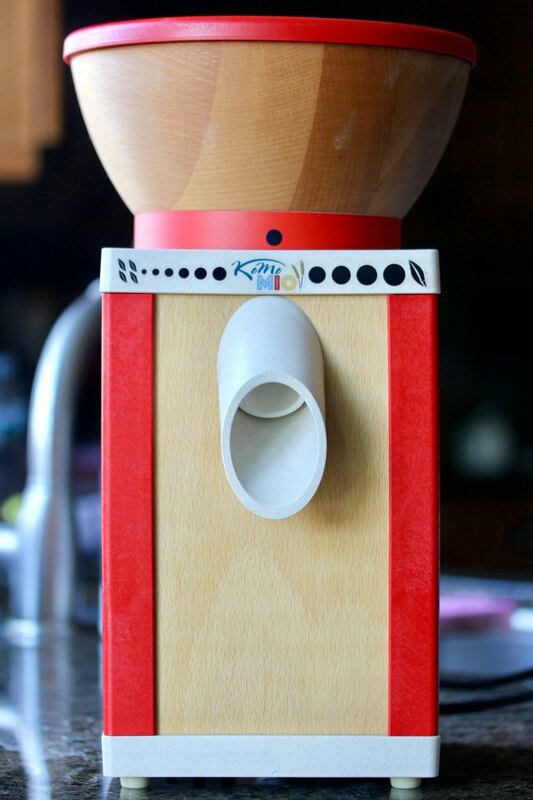 If you are a bread nerd like I am, you will love the Komo Mio Grain Mill. You can even win one by following Pleasant Hill Grain (@PleasantHillGrain) on Instagram - details below. 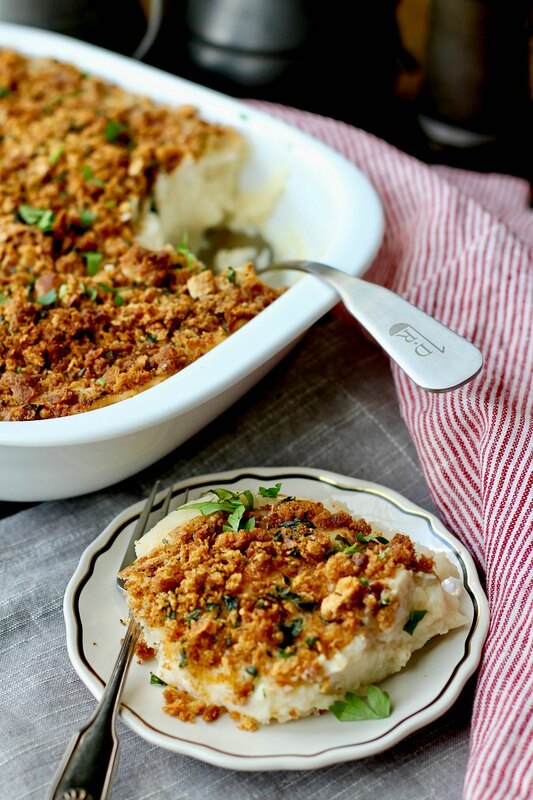 This mashed potato casserole, topped with lots of cheddar cheese and seasoned breadcrumbs, is your answer to the question, "How do I get mashed potatoes on my holiday table without too much last minute stress?" This mashed potato casserole is a truly great make-ahead dish that can go from the refrigerator to the oven. It is totally stress free. Chicken, butternut squash, and onion roasted on a sheet pan and then added to chicken broth for a great fall soup. 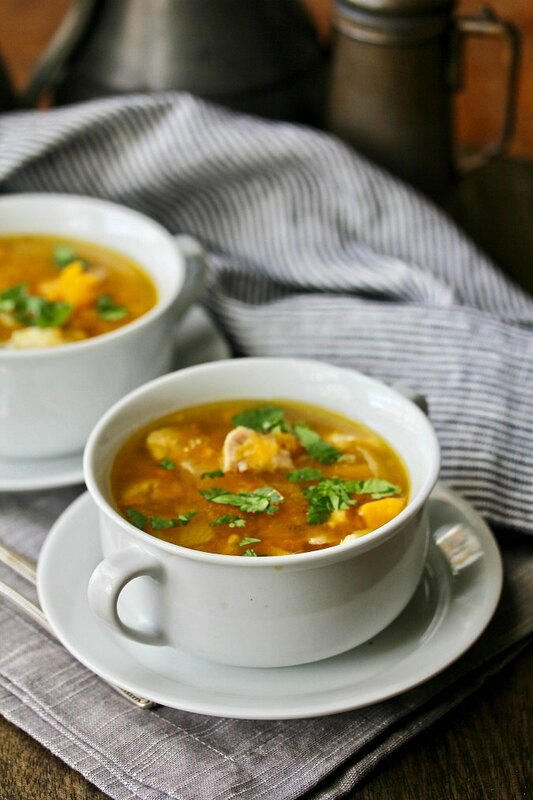 This roasted chicken, butternut squash, and onion soup has a deeper "roasty" flavor because you bake the chicken, squash, and onions on a sheet pan for about 40 to 45 minutes in a 425 degree oven before adding them to the broth. 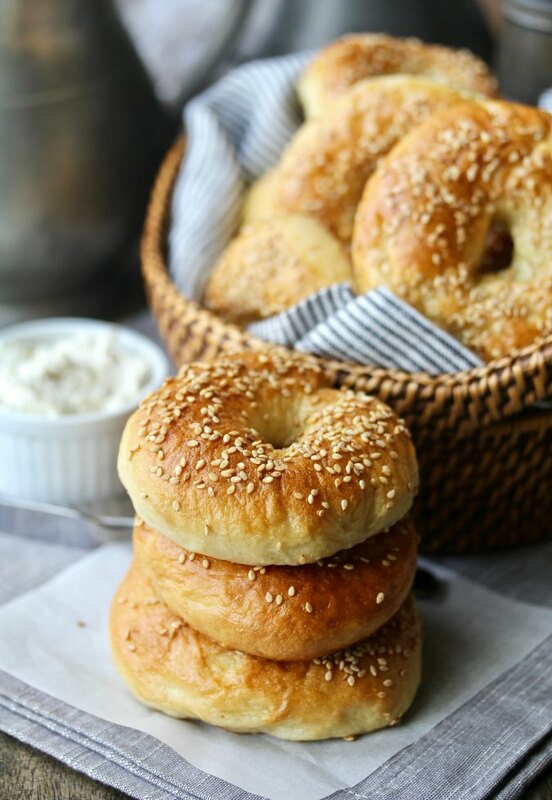 Egg bagels are softer and sweeter than traditional New York style bagels. The dough includes the addition of egg and sugar. The eggs give the bagels a slight yellow color, kind of like challah. The dough for these egg bagels is more like bread dough. It's not nearly as stiff as traditional bagel dough and is much easier to knead. It's also higher in protein due to the addition of the eggs. 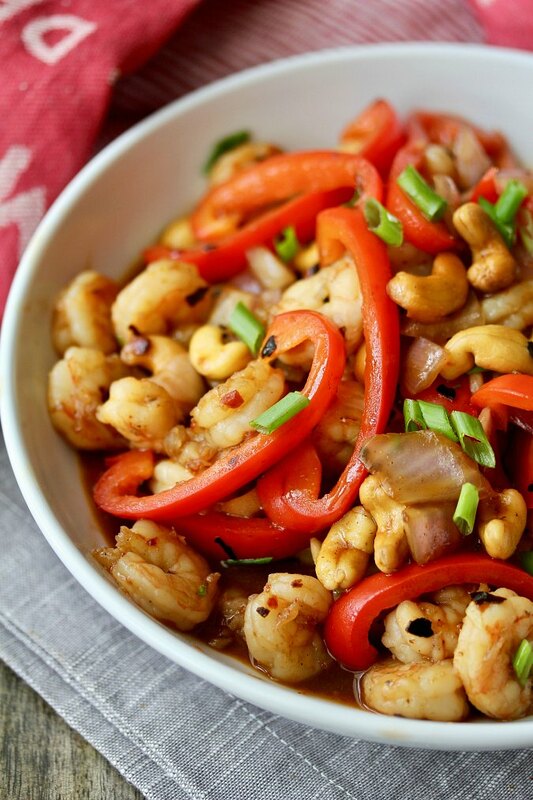 Kung Pao Shrimp is a classic Chinese restaurant dish with origins in the Sichuan province of southwest China. It's a spicy dish, getting its heat from ground Sichuan peppercorns and dried chilis de arbol. Like most stir-fries, this Kung Pao shrimp has a fairly long ingredient list. Trust me when I tell you that it's worth it. All of the flavors come together to create such a depth of flavor. The sum is greater than the parts. 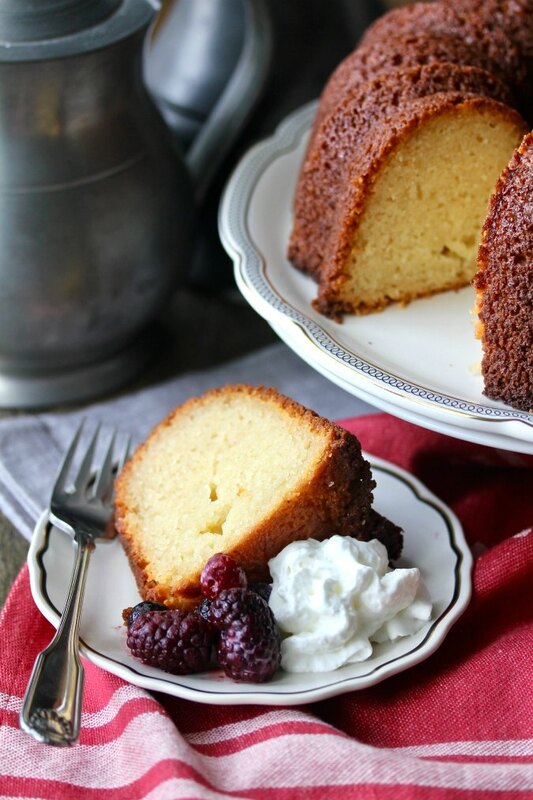 This vanilla yeast-leavened pound cake is super moist and buttery, and is delicious served plain, with a dusting of powdered sugar, or with just a bit of whipped cream and macerated fruit. This pound cake is leavened by yeast just like old time European cakes. Prior to the introduction of baking soda and baking powder in the late 19th century, all cakes were leavened by yeast. Apple and bacon red cabbage salad with pecans and an apple cider and Dijon vinaigrette - a delicious way to enjoy fresh cabbage without smothering it in mayonnaise. 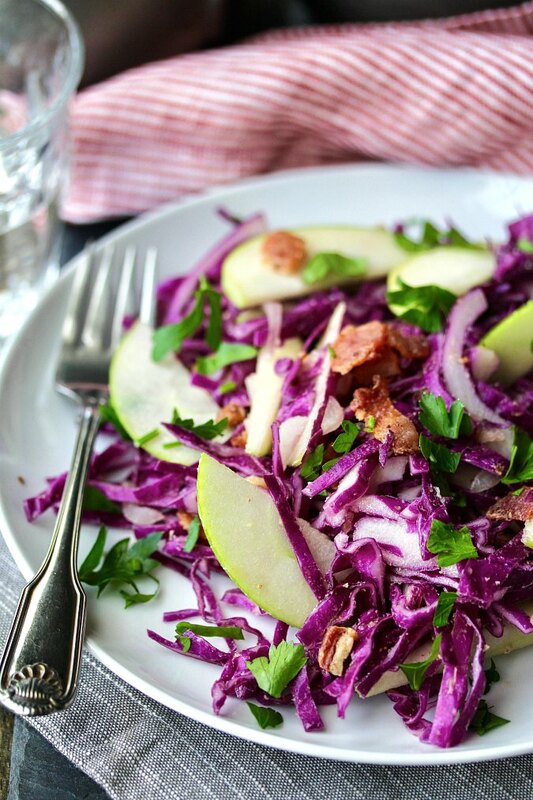 This apple and bacon red cabbage salad is fresh and light. The salad is tossed with a small amount dressing, which brings together the apple, cabbage, and bacon flavors. These Pull-Apart Garlic Rolls are loaded with garlic, almost one clove per roll. They are brushed with melted butter that has been infused with sautéed garlic, and baked in a cast iron skillet. 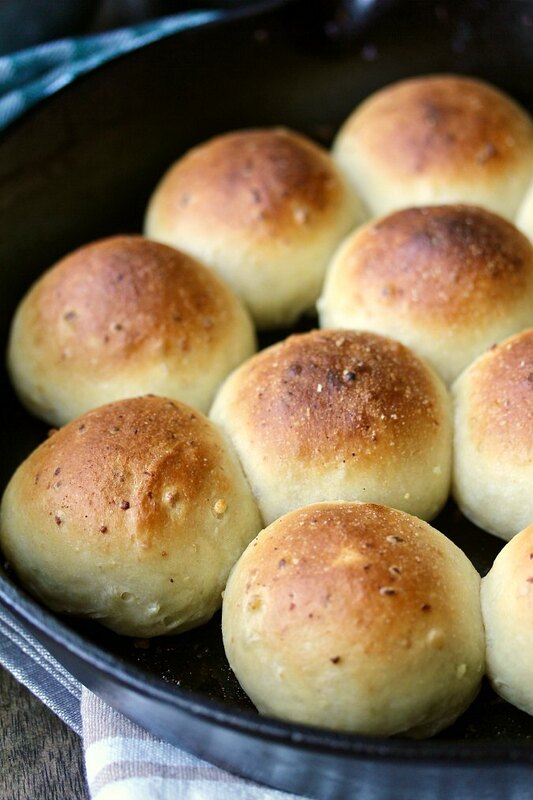 To make these rolls, you sauté 10 cloves of minced garlic in butter. Once you've sautéed the garlic, you press out the butter and set it aside. 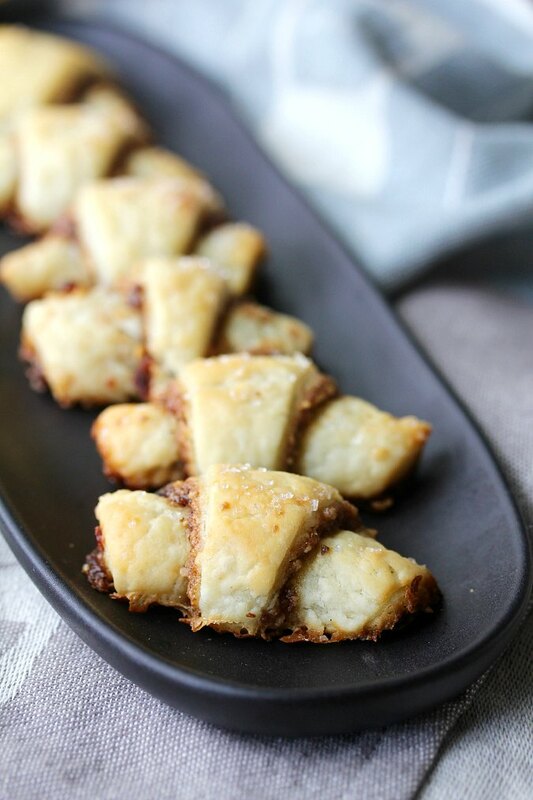 These Cranberry Walnut Rugelach are made with a buttery cream cheese dough that, when baked, becomes flaky like a pastry. Rugelach are a Jewish cookie or small pastry. The dough is rolled around a filling (usually dried fruit and nuts) and are shaped into a a crescent. 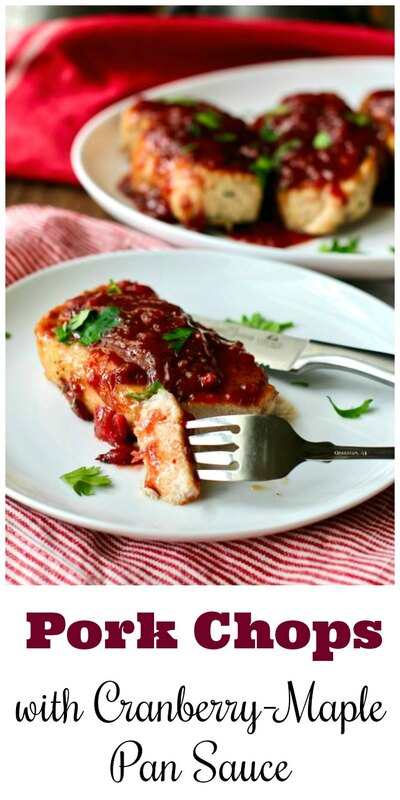 These thick and juicy pan fried pork loin chops smothered in a sweet and savory cranberry-maple pan sauce are a wonderful way to enjoy the flavors of fall. You can make these tasty pork chops in just about 30 minutes. Serve them with some rice pilaf and a salad, and you'll have a pretty fabulous and easy meal. 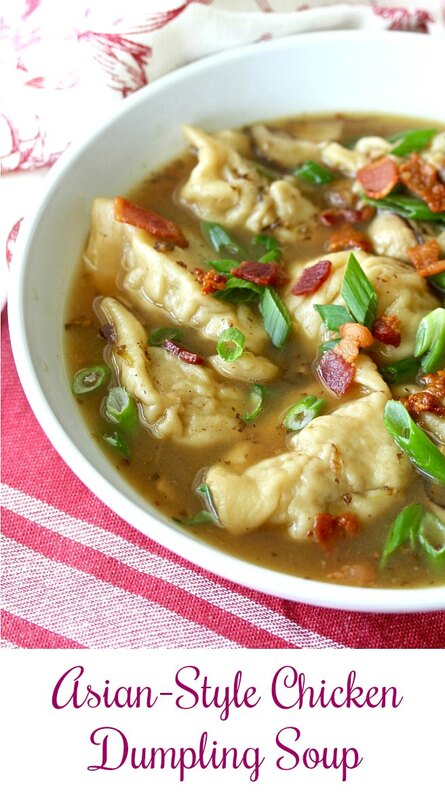 Asian-style Chicken Dumpling Soup - a hearty and meaty flavored chicken, bacon, and shiitake mushroom soup filled with Asian chicken dumplings. I have been experimenting with making my own Asian dumplings, including making my own wrappers. I've been trying different flavors, including pork, shrimp, as well as chicken. 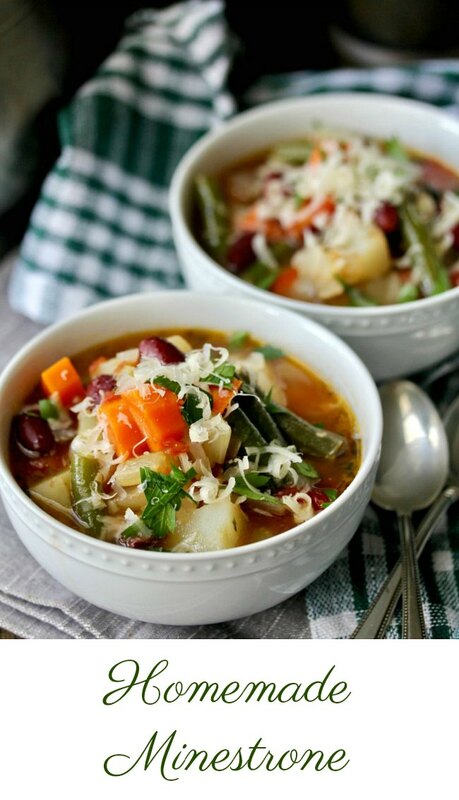 This recipe for homemade minestrone soup creates a hearty and warming bowl of vegetables in a delicious vegetable broth. The soup is delicious the day it is made, and even better the next day, when all of the flavors have a chance to meld. This soup recipe as written is really tasty, but you can customize it to make it your own. 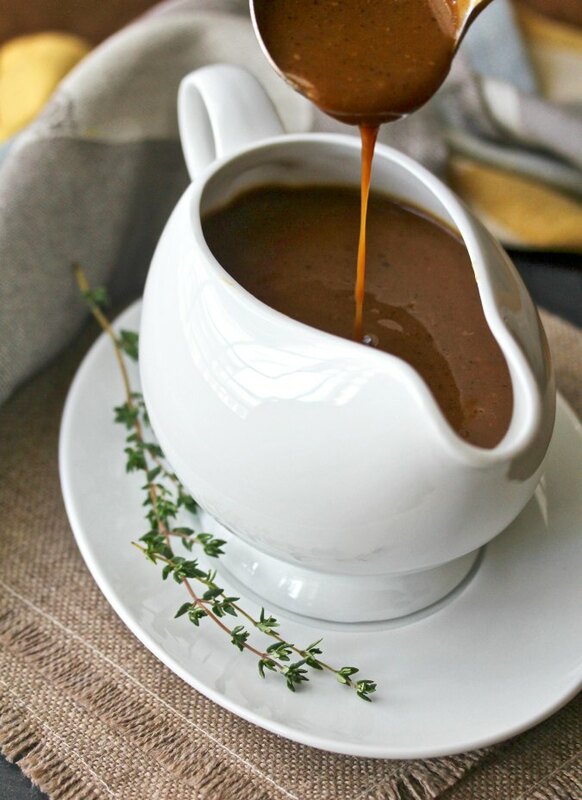 While I used this vegetable broth as a base for the soup, you can use store bought vegetable stock, or even water to make this soup. This cranberry-almond shortbread tart features a shortbread crust flavored with almonds and cornmeal, and filled with a tart homemade cranberry jam brightened with lemon juice and apricot jam. This cranberry tart is easy to make ahead. First, you can make the dough and refrigerate it up to two days or freeze it for up to two weeks. Cheesy Butternut Squash Pasta - an easy to prepare one-pot meal or side dish that is ready for the table in about 30 minutes. 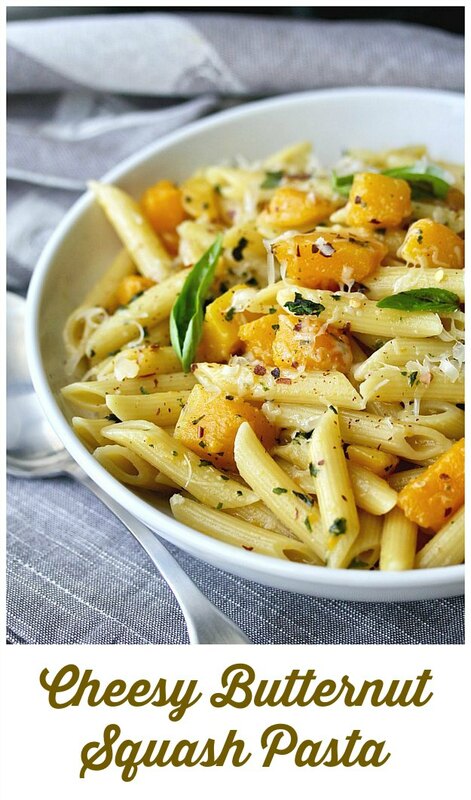 The butternut squash in this pasta dish, combined with the Parmesan cheese, adds so much creaminess that there is no need for added milk or cream to create a sauce. The cheese and the squash, along with the pasta, do all of the heavy lifting. 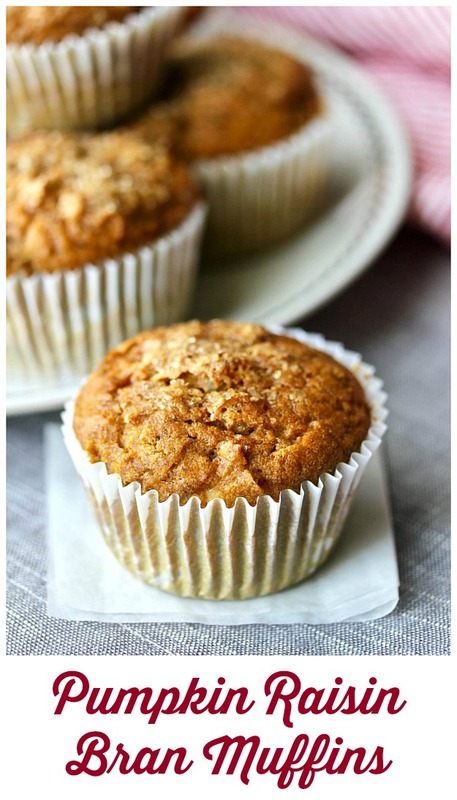 These Pumpkin Raisin Bran Muffins are light and moist, and the pumpkin flavor shines through. These pumpkin raisin bran muffins get all of their moisture from pumpkin puree. Plus, they are fairly low in fat compared to most muffins. 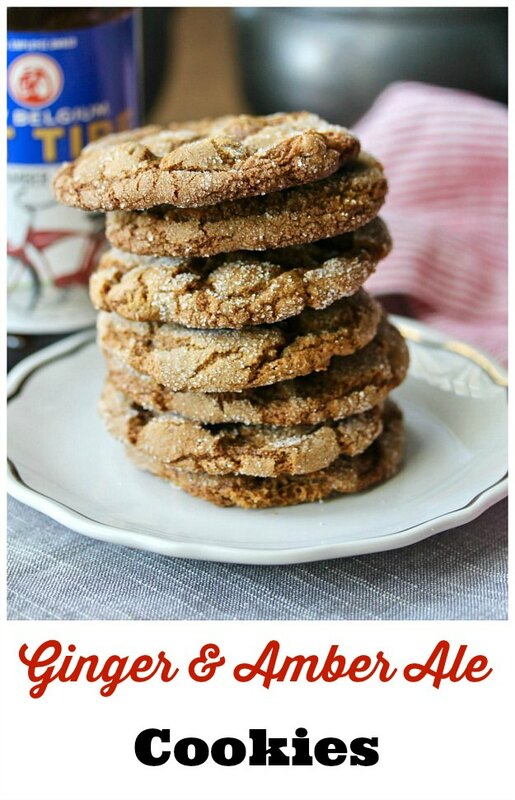 These crystalized ginger and amber ale cookies are chewy and spicy, and have a wonderful caramel flavor from the amber ale. These ginger and amber ale cookies are also deeply flavored with molasses along with golden raisins, which provide little bursts of sweetness. They're really good. 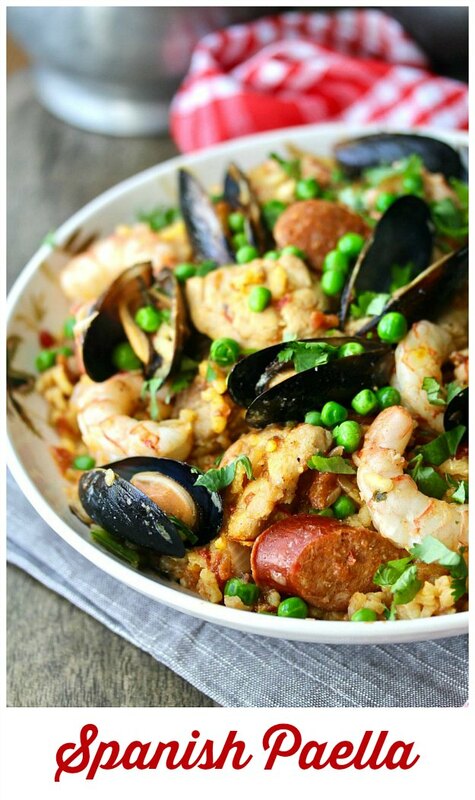 Paella with Shrimp, Chorizo, Chicken and Mussels - a simplified recipe for paella made in a Dutch oven instead of a specialty pan. This Dutch oven paella, a simplified version of traditional paella, takes only about an hour to make, including prep time. This Cider-Glazed Apple Bundt Cake is filled with an apple cider reduction and one and a half pounds of grated apples. 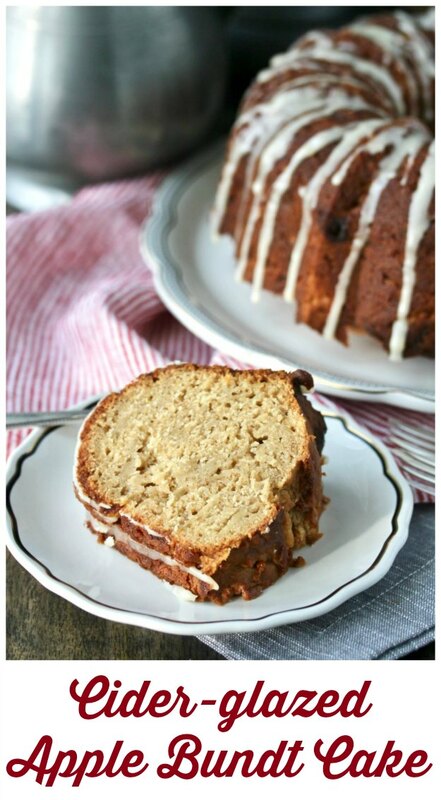 It's super moist, and filled with the flavor of apples. It's been a long time since I've made a bundt cake. I don't know what I've been waiting for, because bundt cakes are so easy to make, and, unlike layer cakes, you don't have to worry too much about how they look. The pan does all of the work. 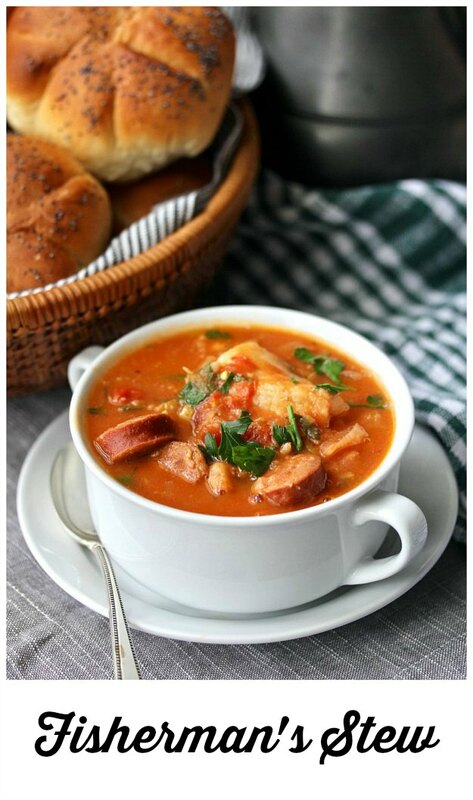 Hearty Fisherman's Stew - a delicious combination of Spanish Chorizo or Portuguese Linguiça, white fish, tomatoes, leeks, and lots of fresh parsley. This fish stew is hearty and warming, and great for serving when the temperature outside begins to cool.